More than 500 million photos are shared each day. As the quality of cameras on cellular phones continues to improve, the images produced can rival those taken with compact cameras. For photographers like me, can be a little frustrating to see an image of a beautiful landscape and find out that is was captured on an iPhone. Photographers typically put a lot of thought and planning when trying to capture the perfect image – light, shadow, exposure, and clarity. There are hundreds of apps to help you take great photographs. Apps like Rick Sammon’s Photo Sundial allow you to know when the sun will be in the perfect spot to capture a sun starburst as it peeks around cactus in the desert. During a recent trip to Australia, I took hundreds of photos with my DSLR, taking time to consider all the camera settings needed to get great shots. 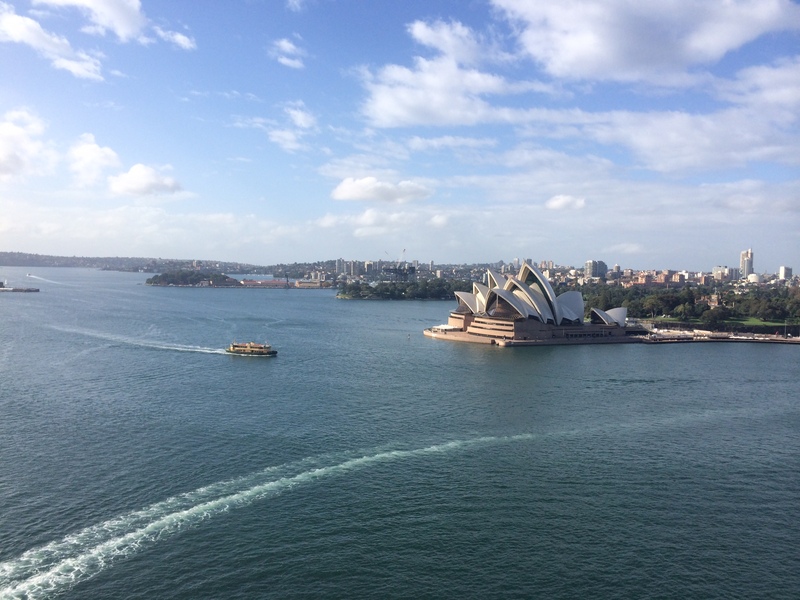 The photo here of Sydney Harbour was taken with my iPhone 5S while walking across the Harbour Bridge. Not bad for a camera phone. Photo sharing websites have allowed me to share my photos with other photographers from around the world. The website 500px has over 1.5 million registered users and Flickr has over 87 million users. Both Flickr and 500px take advantage of social sharing. And then there’s Instagram, with its over 100 million users, it has become a great way for businesses to share content in a format that people enjoy – photographs. Camera phones have also allowed you to put yourself into the action with selfies. Some of these self-portraits have gone very wrong and should be deleted immediately before being shared but many are great ways to capture moments with friends and shared with the world on your Facebook page. Check out this funny video from Dell about how they’re helping you take the best selfies.